One of our favorite books to read to Blake is The Very Hungry Caterpillar. Its a book that I think most children have had read to them, and one that i can vaguely remember being read to when I was little. Its one of Blake's first books that we purchased for him and he loves it. 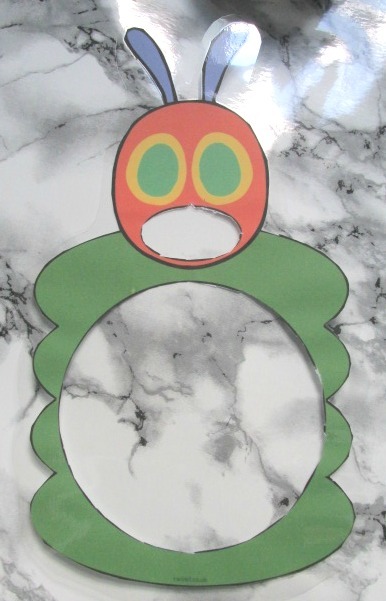 So when I was looking through the fab resources for newborn- two years from Twinkl and came across some The Very Hungry Caterpillar activities, one of them I knew I had to do was the What did the Caterpillar eat? Sensory bag. Its so easy to make and Blake has had lots of fun with it too. You can find the resources and how to make this activity here. Blake still is at an age where he can still have fun with activities like this but as he gets older he will start to understand and engage more so this activity will really help with is learning. I am going to also do this activity again with him when he is a little older as at the moment its all about the sensory aspect rather than learning about food names etc. As a parent, sometimes messy activities can be a pain to do. This activity is non messy and and because its easy to make and do its not time consuming either. The only thing is that you will need a laminater which in my opinion is an investment to have if you love doing loads of activities at home. Because the items are laminated you can clean them and resuse them so that you wont have to print them off again. Once you have finished the activity all you have to do is remove the laminated bits and pop the ziplock bag straight in the bin. 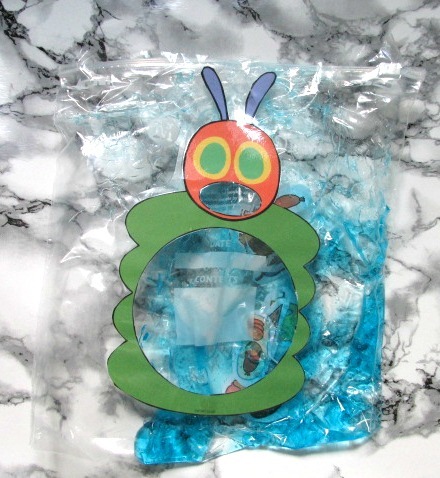 What do you think of this sensory bag activity do you think your little one would love to do this? T used to love the Caterpillar story too when she was a toddler. I think she'd definitely be interested in the sensory bag activity too. Love the idea of this sensory bag and as we love The Very Hungry Caterpillar in this house, with my youngest having had the story read to him a number of times now by his big brother who is learning to read, it is an activity we will definitely be trying. We love sensory bags. Haven't tried a Hungry Caterpillar one yet, but this looks ace! Ooh this looks fun - does the child just dig around in the bag for the food items? Looks lovely - and Hungry Caterpillar is GREAT!! I'm sure a laminater will be on my to-buy list once Pickle is here and able to start playing! This looks lots of fun and my two would definitely love to do this. Thanks for sharing. That's a lovely activity to go with a lovely book. It's great that it is a non messy activity. The book is brilliant - it must be one of the most read books for pre-schoolers. Big sensory bag fan over here and what a fab idea, very creative. Hungry Caterpillar one of our favourite books too. This looks like a great idea! My Toddler loves that book. Wow this looks great, my 20m old would love it and I agree it can be used until they're older just differently, I would get her to name all the foods when she's a bit older. when mine were smaller they would love this activity. All things tactile and for learning are great for the little ones.